This is as good as the real thing and has been moulded to the same specification as the GPO. It is made from ABS plastic which is much more durable than the original acrylic. As you can see it is stunning the tooling for this was a massive expense. I have asked for some internal identification to be used so that it can be identified as new. 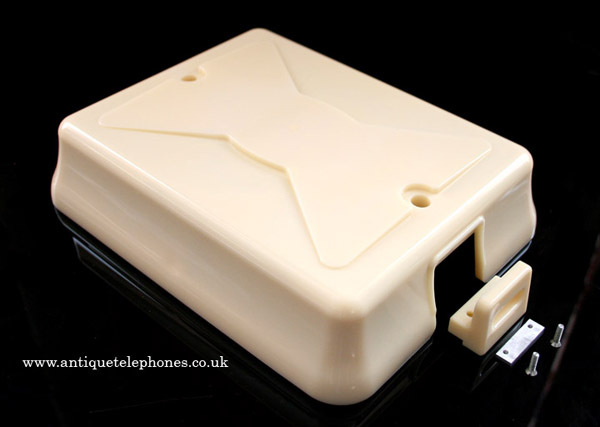 Please note that as a reputable dealer I will always disclose the use of remoulded items on my own telephone in the description. The colour is made to match the middle range and not deep ivory or white. You will have to supply your own bell-set internals to use this. Hens teeth to find originals and so these have been made to GPO specification Back in stock.